States will bid frantically to lure Toyota Motor Corp.’s new car plant, a frenzy that could push incentive packages far over $1 billion for the proposed 4,000-employee factory. Real estate experts Friday said the site selection process for the country’s first new car plant in years will likely lead to the Southeast. Site selection consultants say one of Tennessee’s leading industrial sites is the Memphis Regional Megasite, 4,100 acres of vacant farm land on Interstate 40 near Stanton. State officials purchased the land a decade ago to attract a Toyota car plant and it remains unused today. Toyota decided to put its Corolla assembly line west of Tupelo at Blue Springs, Miss. Toyota’s new plant also would make Corollas and would not displace the vehicle from Blue Springs. 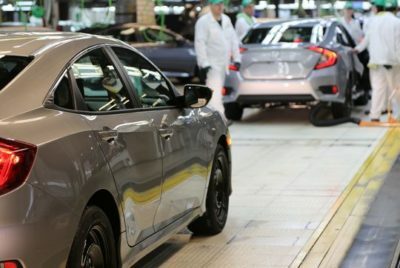 Although the severe shortage of skilled workers throughout the United States has been part of the national conversation for years, experts say Toyota is not likely to come to the same conclusion that led Honda Motor Co. into the industrial north. Looking for a site to build a new Civic car assembly plant, Honda located outside Indianapolis in 2006 even though Indiana had been a bastion for the United Auto Workers since the 1930s. Economic development experts said the scarcity of skilled trade workers in the Southeast, home to 15 car assembly plants and Boeing’s massive South Carolina facility, steered Honda north. But the shortage may not influence Toyota. Over the last decade, states have ramped up advanced manufacturing programs in vocational schools and community colleges, with Alabama, Georgia, Mississippi, North Carolina, South Carolina and Tennessee all getting high marks for worker training. Those training programs as well as low operating costs, the automotive supply chain along I-40, Interstate 75 and Interstate 85, and a new emphasis by industrial executives on courting key politicians are likely to give the Southeast a new edge over the North, said John Boyd, head of Boyd Co. Inc., a location consultant in Princeton, N.J. On Friday, Toyota became the latest automaker to announce a new plant, following Tesla’s decision to make electric cars in Nevada. The Japanese automaker disclosed an alliance with smaller Japanese rival Mazda Motor Co. to jointly build a plant in the United States. No site was identified by Toyota. Governors, mayors and economic developers in every state will undoubtedly pursue the new plant. “It’s amazing to see the transformation in economic development from incentives 15 years ago to what we see today,’’ said Scott Waller, interim chief executive of the Mississippi Economic Council, the statewide chamber of commerce in Jackson, Miss. “Today the incentives are workforce based. It’s all workforce driven. There’s absolutely no question Mississippi can be successful.” Boyd figures the auto industry’s interest in electric cars could steer Toyota to make electric vehicles in the new plant and that could lead the company to locate the factory near a university-based research center. He said that was a reason Hutto, Texas, not far from the University of Texas, was Tesla’s runner-up for the factory that went to Nevada. Boyd counts North Carolina and its Research Triangle near Raleigh as the top site for Toyota followed by South Carolina, where Clemson University robotics experts are refocusing on technology for self-driving vehicles. Tennessee’s legislature earlier this year approved legislation allowing self-driving cars on the highways, but that may not be enough to attract Toyota to the Memphis Regional Megasite, located on I-40 about 32 miles from Jackson, Tenn. “You have to think it’ll be looked at very closely by Toyota,” Boyd said about the megasite, adding that it is probably too far from a major research university to sustain Toyota’s interest for an electric car plant. Representatives from the Greater Memphis Chamber and the Tennessee Department of Economic and Community Development, which has spent $140 million preparing the I-40 site for industrial plants, did not return calls seeking comment. Just how large incentive packages will become for the Toyota plant remains to be seen. While the largest package ever created for a corporate project was New York’s $5.6 billion investment in an Alcoa aluminum complex, automotive states have run up hefty incentives as well, reports Good Jobs First, a liberal think tank near Washington. It reports Tennessee accumulated $225 million for Nissan, which operates in Middle Tennessee at Decherd and Smyrna, and $554 million for Volkswagen’s assembly plant at Chattanooga. Boyd figures incentives for a Toyota-Mazda project could exceed $1 billion including worker training programs, extension of utilities and roads and tax breaks.